Anna has lived in the Phoenix area for 2 years now, and loves it. She is married to her husband Connor, and has 2 dogs that will welcome you with kisses at the door. She has been licensed in Cosmetology for almost 3 years and loves continuing her education and building her portfolio. 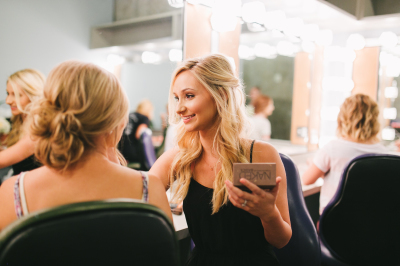 She is licensed as a Cosmetic Laser Technician, and has experience working on weddings doing hair and makeup. She fell in love with eyelash extensions and got licensed and certified through Borboleta to provide them for you. She is available when it is convenient for you, please leave a message or text. She is looking forward to working with you!